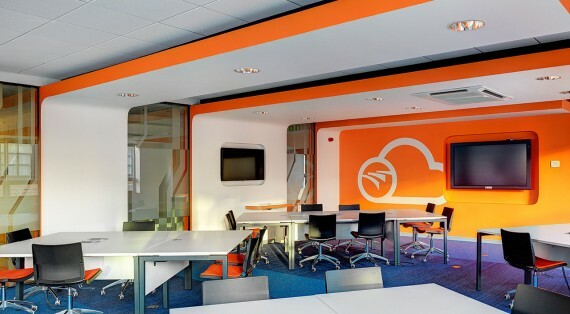 National College of Ireland Cloud Competency Centre. 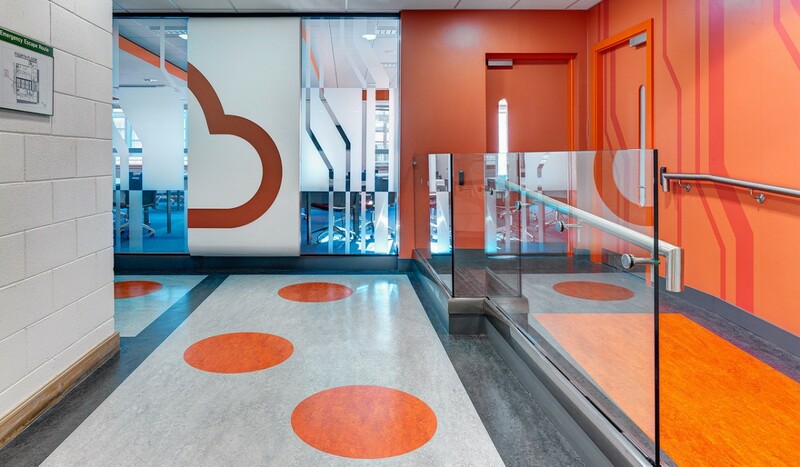 The proposal creates a centre for excellence in learning and research for Cloud Computing at NCI. 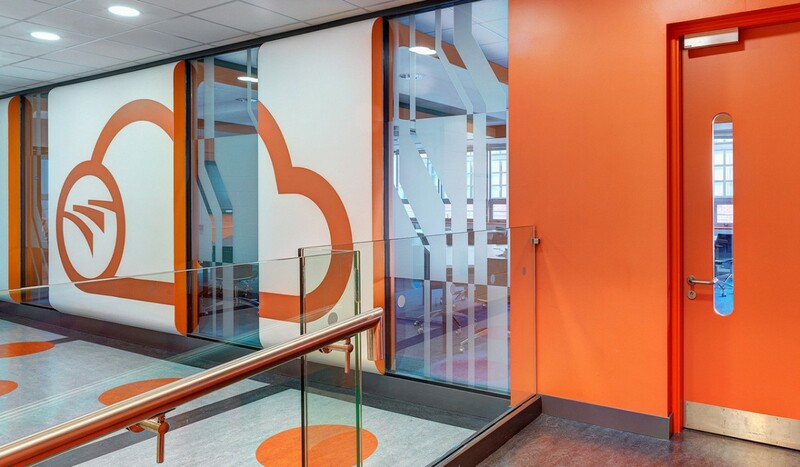 The concept behind the project was to deliver maximum exposure for the new MSc course in Cloud Computing both within the college and to the outside world, while providing an instantly recognisable design, related to the centre’s corporate branding. 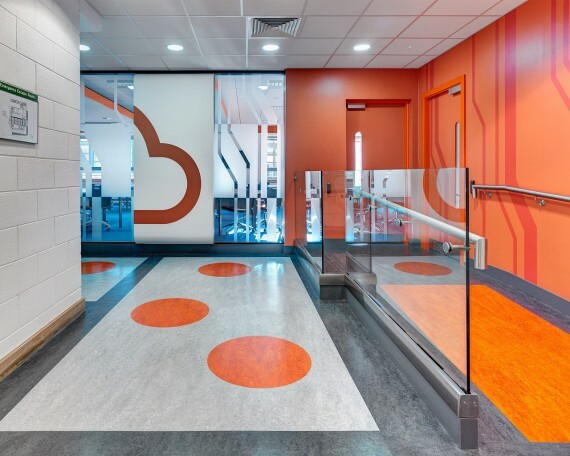 This was achieved through the construction of building elements influenced by the centre’s cloud logo or future technology, including the use of curving wall and ceiling features, circuit patterned manifestations to walls and glazed screens and a limited palette. 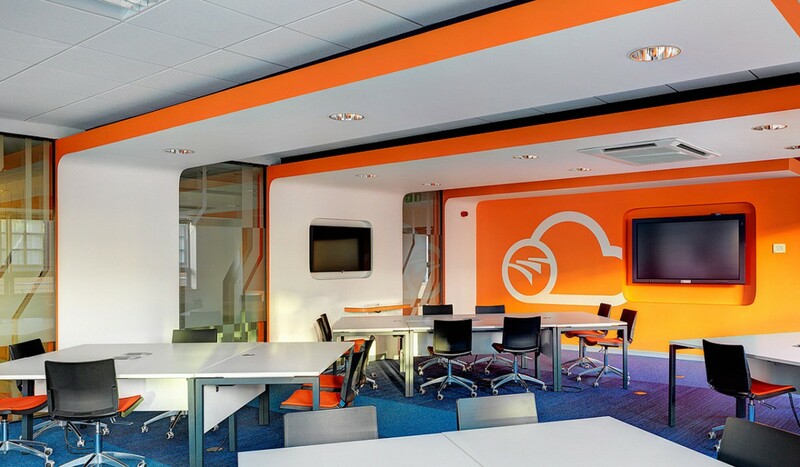 Touch screen presentation screens are incorporated into the curved wall and ceiling feature to create a open laptop like aesthetic. 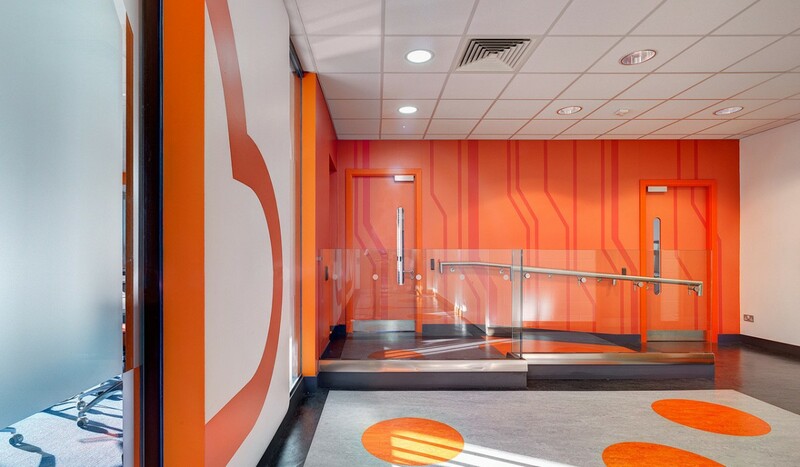 Circuit patterned manifestations and glazed screens allow a degree of transparency providing glimse views to the learning centre inside. 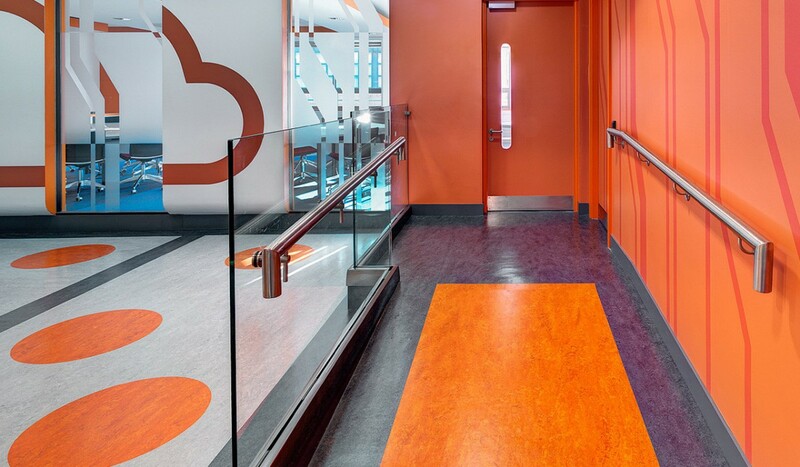 Completed with the highest standard of finishes throughout.